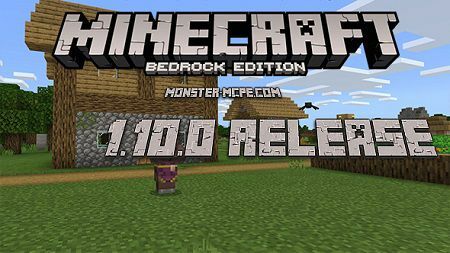 Dear friends, a new beta version of Minecraft Bedrock 1.10.0.3 for Android, was released, as well as Windows 10 and Xbox One. 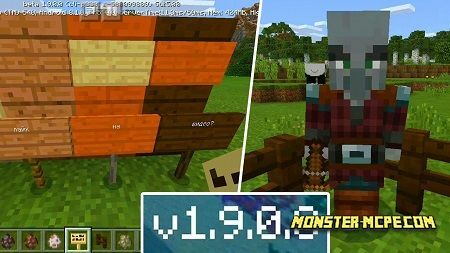 This is the first test version in the 1.10 series after will follow by the release “Villages and Rogues” which will have the number 1.11. 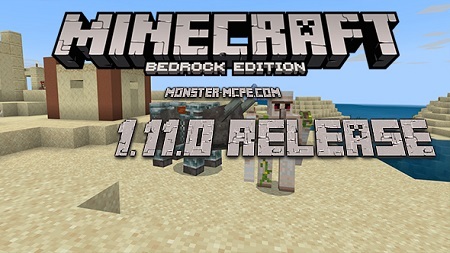 Minecraft Bedrock 1.10 will bring new inhabitants, shields, villages, features for blocks and much more to the game! It is worth considering that some of the new features will be available for a player only with the activated Experimental gameplay! 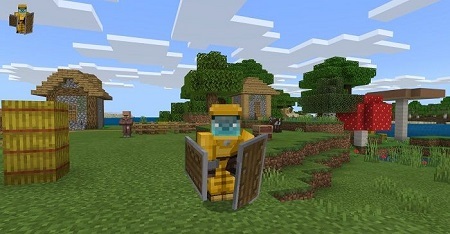 Updated villages and residents are now available to all gamers! Residents finally got different professions, the possibility of sleep and some new features. Previously, the inhabitants had virtually no enemies, but from now, appeared pillagers can attack the neighboring village! Pillagers you can meet in the outposts, so be careful! 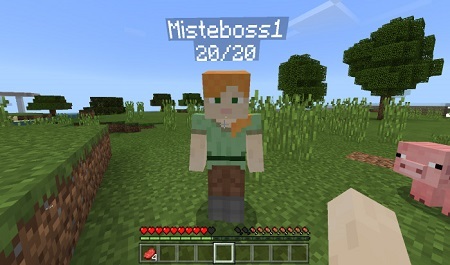 Also, many gamers were expecting the appearance of shields in Bedrock and finally they were officially implemented! As for the combat system, it will be updated later. 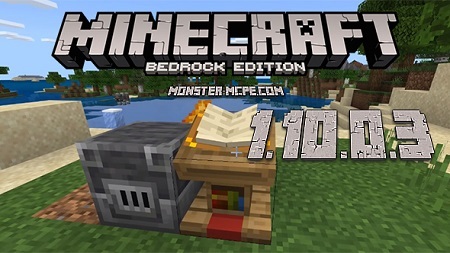 What was added in Minecraft Bedrock 1.10.0.3? 3. Sweet berries and sweet berry Bushes. 6. 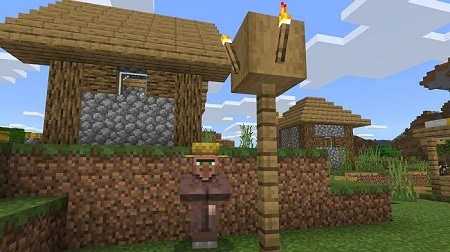 Villagers have a new look. 8. Wandering Trader: Spawns near the village and stays there for two or three days. Has his own llama. You can trade a variety of items. 9. New blocks got their recipes. 10. 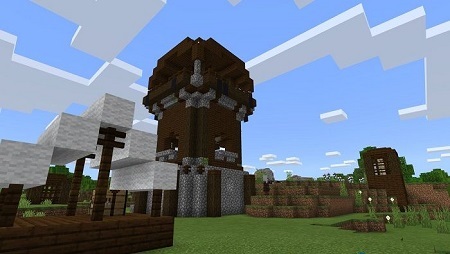 Added new behavior of the villagers: sleep, they can wander around the edges of the village, and at night they return to their homes and go to sleep, have a visual based trading system, librarians will inspect bookshelves. 11. A mason added, as well as villagers dressed in green clothes. 3. The loom received unique sounds. 5. With the loom block, the player can create various banner patterns. 6. Sneaking now uses the shield in any of the hands. 7. Lectern — the player can place on it various books, a book and quill can be read, but not edited when placed on a lectern. 1. From now, the player can place the lantern on the stove. 2. Updated the design of the tab “Training”. 3. From now, the flowers of chorus can be destroyed by arrows. 4. Dispensers with shears can now shear sheep. 5. Placing a wet sponge in the nether immediately dries it out. 6. Decaying leaves now have a chance of dropping sticks. 7. Crossbows are no longer behind the experimental toggle. 8. New textures have been set by default. 9. From now, dead bush as furnace fuel. 10. More than 100 different bugs fixed.